Sometimes you want to send a push faster than normal for urgent and sensitive situations. That's why we have created the Turbo Push feature for you. 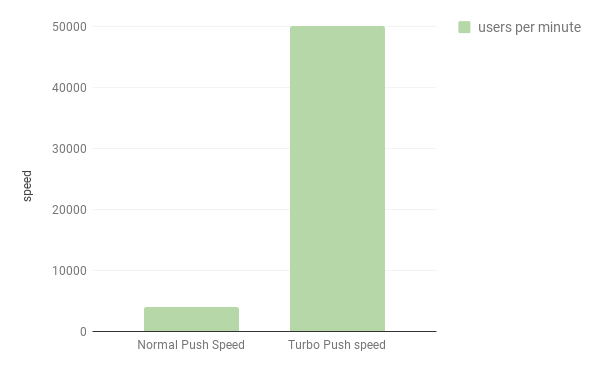 Campaigns and messages on turbo push are sent almost 14x faster than our regular messages. How can I activate Turbo Push for my urgent campaign? In your push composer, scroll down to find the toggle. Note: If you are eligible to use turbo push, you are allowed only two turbo messages a day. This should be only reserved to ultimately time-sensitive campaigns where a few seconds/minutes delay matter for you.